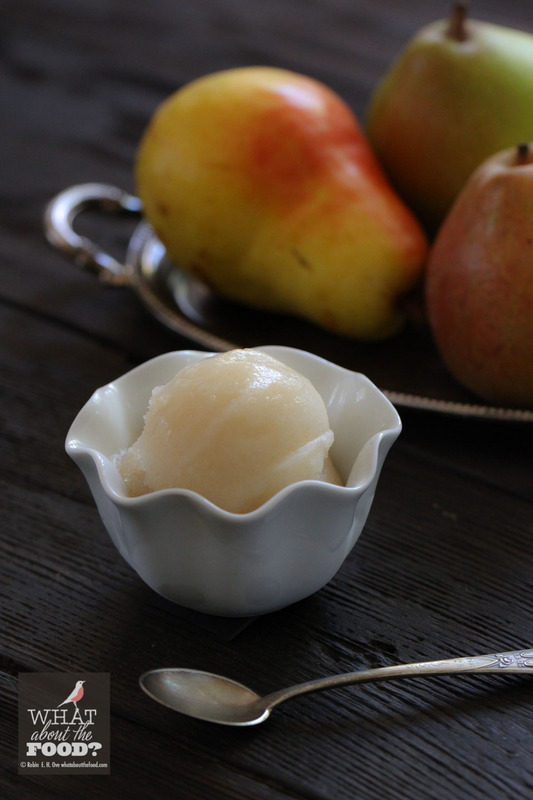 Spiced St. Germain Pear Sorbet - What about the food? Green speckled, hard, squat or elongated; within days blushed russet, round cheeks sunburned by the autumn sun. Pears are in season. Sweet pears, floral scents and sticky juices. Sometimes the grainy creamy flesh oxidizes quickly, bruising skin so tender, deep into the flesh. Sub dermal brown splotches that turn to mush if you wait too long. 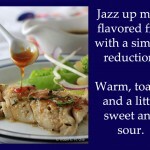 Too long to eat, cook, preserve. Do not procrastinate. Pears with spices. Pears with lemon. In crusts, cakes, and poached in wine. Fall desserts call for pears. Here, the Indian Summer sun bakes us. Dry, hot, and burning. The California drought troubles us; dry, parched and brown. Yet despite the diminished water supply our farmers are harvesting. Pears and apples are replacing summer’s peaches, nectarines, and plums as the seasonal clock turns over. Pears, ever so elegant. So grown up when dressed for the occasion. 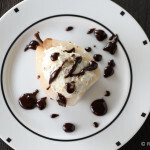 Pears in liquor, they go together naturally. Cocktails with St.Germain liqueur are fresh and floral with hints of citrus and tropical fruit served to inspire this new spicy, slightly boozy sorbet dessert celebrating this moment in time. Delightful, fresh, and cool. 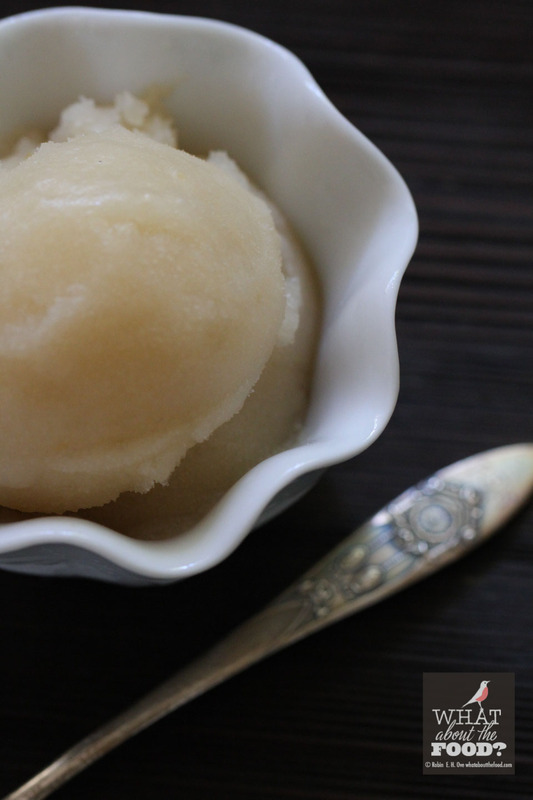 Fragrant pears meet Elderflower liqueur and spices in this fresh, adult sorbet. Peel, core and cut pears into 1” pieces. Place cloves, cardamon pods, allspice berries and cinnamon stick in spice bag or bundle in two layers of cheesecloth, closing tightly with kitchen twine. Pre-freeze your ice cream insert if using. 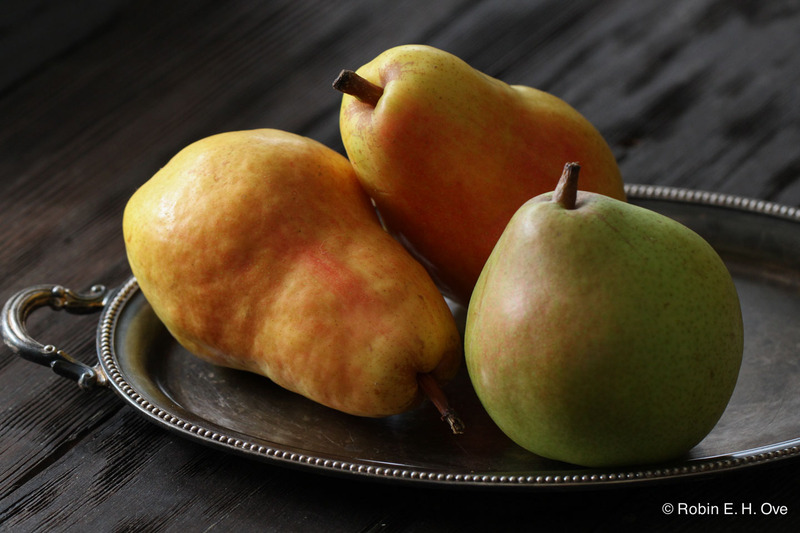 Place the pears, water, honey, lemon juice in medium saucepan. Add spice bundle and ginger slices to pears and bring to a low boil, then lower heat to simmer. Cook for 30 minutes. Remove the spice bundle and ginger and then let the pear mixture cool for 10 minutes before adding to blender or food processor. Place pear mixture into a bowl, cover and chill for at least an hour or more before processing in your ice cream maker, you will want it very cold. Can be left overnight. Add liquors and measure total liquid, you will need 4 cups (add water as necessary) and whisk together before pouring into your ice cream maker. Continue with your manufacturer's instructions for freezing sorbets. 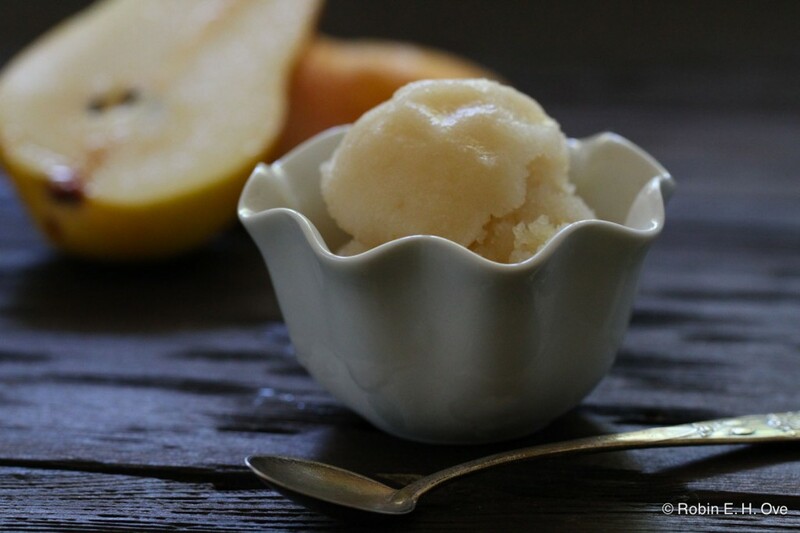 The flavor and consistency of the honey used will make a difference in the overall taste profile of your sorbet. 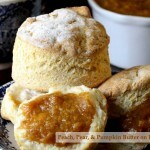 I like the consistency and citrus, floral taste of Manuka Honey from New Zealand for this recipe, but a good quality orange blossom honey would work well too. St. Germain Liqueur is made in France using Elderflowers. You should be able to find Doctor Manuka Honey in the natural food section of grocery stores or have it delivered from Amazon. 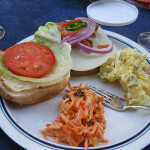 If you do shop by the link below I will receive a nominal return that helps support this blog.